Explanation: Astronomers recently announced the detection of three large planets orbiting the star Upsilon Andromedae - the first planetary system known to orbit a normal star other than our Sun. These planets were not directly photographed but found through a Doppler technique developed to use large telescopes to search nearby stars for wobbling planetary signatures. 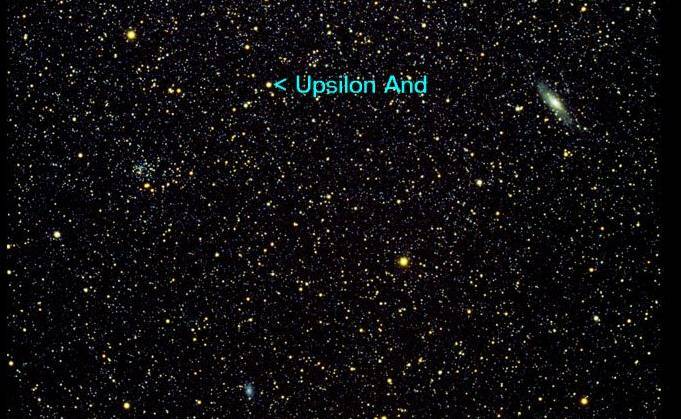 However, Upsilon And itself is visible to the unaided eye shining in Earth's sky in the northern constellation Andromeda at about 4th magnitude. This deep photographic image shows Upsilon And along with fainter stars and "deep sky" objects including the famous Andromeda spiral galaxy or M31 (right), the Triangulum galaxy or M33 (below), and the star cluster NGC 752 (left). 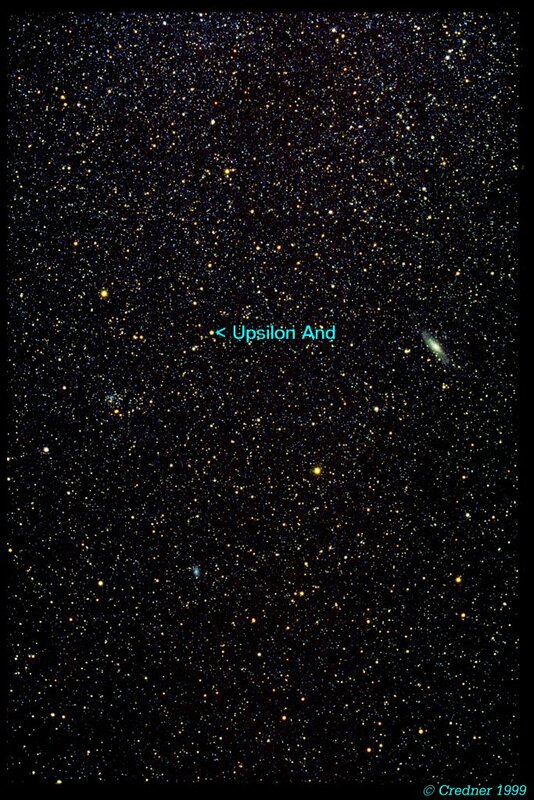 About 44 light-years distant, Upsilon And is a star only a little more massive and just slightly hotter than the Sun.